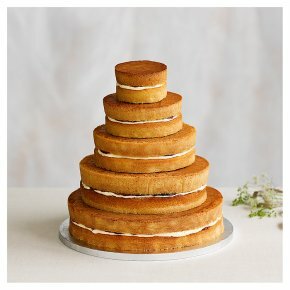 Wedding Cakes – The Best High Street Options! We recently blogged about the best High Street wedding dresses, and this week we’re looking at another growing trend that’s perfect for thrifty couples planning their wedding day. This week, the Woodhall Manor wedding planners share their favourite wedding cakes that are available to order from High Street supermarkets and department stores. We all love the traditional cutting of the cake at a wedding reception, but with multi-tiered cakes costing many hundreds (or even thousands!) of pounds, many couples are having second thoughts about spending so much money on a cake. We recently read a feature in Brides magazine that featured some of the most sensational wedding cakes we’ve ever seen. However, it wasn’t just the designs that were eye-catching. The majority of the cakes featured cost more than £1,500 with a number of them priced at more than £4,000… For a cake! We don’t want to be party poopers here, and if you can justify spending big bucks on your wedding cake then that’s fantastic, but for us, it does seem a little crazy. Many of the couples who marry here at the Manor are working to a set budget and need to compromise and prioritise the elements of the wedding that are most important to them as a couple. If the wedding cake isn’t of huge importance to you, then this is one area where you can make serious savings. If you don’t have a friend or family member offering to make your wedding cake, then a high street cake could be the perfect option. You’re almost spoilt for choice at Marks and Spencer with almost 100 cakes to choose between.  You can view the full range online and when you’ve chosen a size and design, you simply order online or in store and then arrange to collect from your nearest shop. You’ll need to allow 21 days for most of the cakes, but if you’re thinking of a cheese or pork pie cake, these can be ordered just 5 days before you need to collect. There are also a range of designs that have a 7 day lead time. There are fully assembled tiered cakes in chocolate, sponge or fruit cake as well as more contemporary options such as naked cakes that you can accessorise yourself with fruit and flowers. You can also order additional cutting bars to make sure there’s enough to go around as well as cupcakes in flavours that complement the main cake. To allow you to order a cake that meets your exact requirements, you can order single tiers together with pillars and dowels to construct your cake at home. This way, you can also mix and match your tiers, even having a different type of cake for each layer. 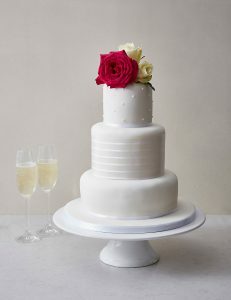 For creative brides, you can opt for a plain iced cake to decorate yourself to fit your theme. Single tiers start from just £8.00 and there are even tastier cakes available to help you choose your favourite flavour before you commit to your order. Our favourite is the Vogue Wedding Cake with white icing that has a tier each of chocolate, fruit and sponge cake and serves 100, all for the bargain price of £199. At Waitrose, there’s a wide range of wedding cakes designed to suit every style of wedding from rustic barn celebrations to grand hotel events. If you’re on a tight budget, then you’ll be relieved to hear you can pre-order your cake up to 3 months before the big day, but you’ll only need to make payment once the cake is despatched. You’ve got the choice of collecting your cake in store or having it delivered to your home or wedding venue to suit your needs. If you’re looking for an easy favour option, Waitrose also offer cupcakes and delicately iced wedding biscuits that complement their range of wedding cakes perfectly. There are naked cakes, cakes for self-assembly and decoration, as well as fully decorated traditional and contemporary designs in chocolate, sponge and fruit varieties. So far, so similar to M&S. However, where Waitrose has the edge over M&S is their secret weapon – Fiona Cairns. She’s the lady behind the Duke & Duchess of Cambridge’s wedding cake and more recently, also responsible for Pippa Middleton’s wedding cake. 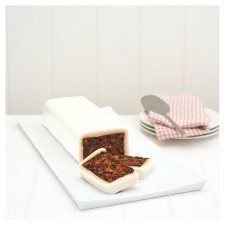 The jewel in the crown of her wedding cake range for Waitrose is the 5 tier Grace wedding cake – a delicate hand decorated ivory iced cake made of chocolate and fruit cake that serves 210 people and is priced at £549. For a more cost effective cake, we think the naked 5 tier golden sponge with vanilla buttercream and raspberry jam filling all ready to decorate with fruit or fresh flowers is a snip at £149 for 100 people. High Street favourite Tesco has cornered the market in speedy wedding cakes with its entire range available with less than a week’s notice. Ideal for couple’s who can’t decide and end up leaving the decision to the last minute. If you’re holding a small wedding there are a limited number of single tier celebration cakes available that would be perfect, as well as a range of separate tiers of sponge or fruit cake allowing you to create your own wedding cake. Just like Waitrose and M&S, Tesco sells all the accessories you need such as pillars and dowels so that you can construct your dream cake at home. They also sell handy cutting bars to make serving portions on the day easy and means you can be absolutely certain there’s enough to go around! The most bargainous provider we have found, a 3 tier sponge filled with buttercream and raspberry jam, covered with soft icing and hand finished with royal icing decorations will set you back just £80 and serve 90 guests. Every little helps! We pride ourselves on helping arrange truly memorable weddings, so give our knowledgeable wedding planners a call today and let us help you plan your dream day. Why not arrange a private tour of our stunning country Manor house while you’re at it? Give us a call on 01394 411288 or email info@woodhallmanor.com to find out more about Woodhall Manor.